Welcome to the TabSite Help Desk! Here we are growing an ever-evolving library that includes tutorials, answers to frequently asked questions, and a guide to the latest information on TabSite features. Use the search box above to get results on a topic / question you have! As we launch, we are working hard to update and add new tutorials and then also videos. 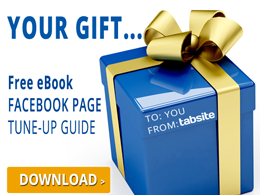 TabSite offers users the ability to create a Smart / mobile friendly URL per tab. This Smart / mobile friendly url, when used in a post to the wall or any other time when clicked by a person using a mobile phone, directs the viewer to a mobile friendly view of the custom app. Desktop viewers continue to have the same experience of viewing the custom app when they click on the mobile friendly url. TabSite enables marketers and owners to reach more people, engage their community, and capture more leads. All to help grow your sales process stronger! Review appfeatures and pricingthen once a plan is selected you will be taken to the manager. 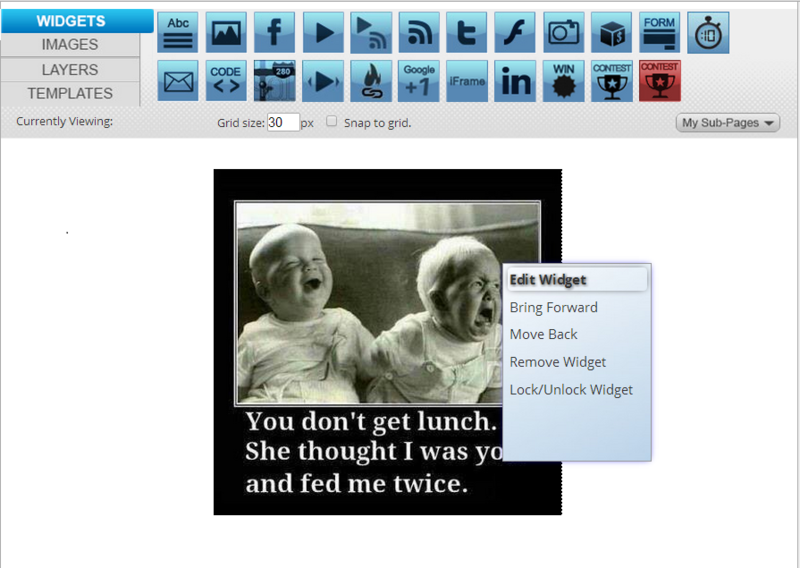 The Image Widget allows you to easily drop images onto your tab page and layer them to your preference. This widget is available at all plan levels. First, you will need to upload your images. To do so, click on the Images section in your TabSite Manager and drag your images or pull from your computer files by clkining "Click to Browse". Just follow the prompts. From this point, just drag an image from your image tray directly onto your page. Resize the image by dragging the the corners and sides. To link the image, right click on it and choose Edit Widget. Copy and paste the URL that you want to link the image to in the Link field. This screen also allows you to change the current image by either selecting an image from your image tray, or dragging a new image to the Drag To Upload box. 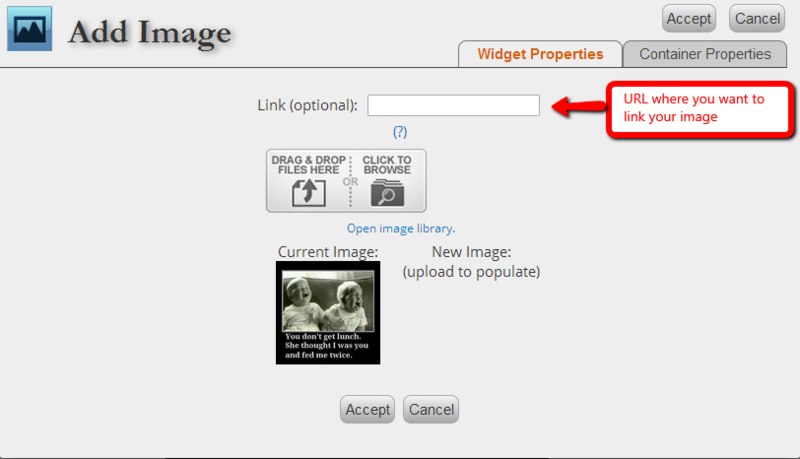 Another way to add an image is to drag the image widget onto your tab page, which will give you the Add Image box, and follow the directions mentioned above. After creating your widgets and settings. Don't forget to click Save. This window will appear. Just choose Save & Continue to save what you are doing and keep working, or Save and Close, and click Okay for the succeeding windows. Type your Page Name and click Save. To learn more about the Container Properties, click HERE! Copyright © 2019 TabSiteDeveloped by Digital Hill Multimedia, Inc.